It seems that it’s never too soon to look at what’s happening in the world of wood flooring trends as we get closer to 2019. Maples and Birch recently took part in the 2018 Grand Designs Live show held at ExCeL London over the May bank holiday week. The team took the opportunity to talk to designers, exhibitors and visitors about flooring trends to discover what was going to be in demand as 2018 turns into 2019. 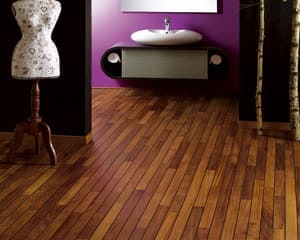 It seemed that just about everyone was talking about hardwoods at Grand Designs Live. 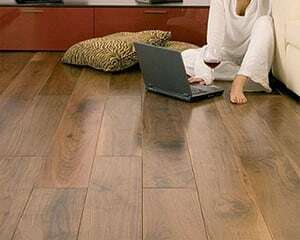 We love engineered hardwood flooring so it was great news to find so many people were considering this wonderful material for their kitchens, entryways, dining rooms and bathrooms as well as the more traditional areas such as living rooms and studies. Taylor believes that awareness of this affordable option, also available in exotic woods, has stimulated the imagination of designers and homeowners alike. 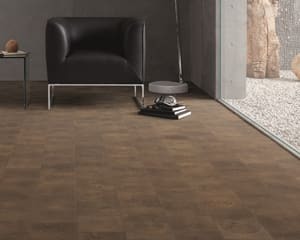 The wood flooring trend that became clear from Grand Designs Live is that people are looking for something that is stylish, hardwearing and long-lasting. They’re also looking for innovation that will still be as fashionable in ten years as it is today. Floors aren’t like clothes – changing your style every year just isn’t practical. 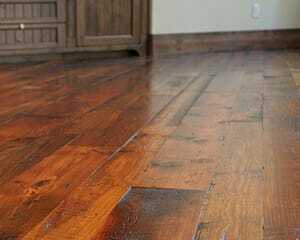 In particular, hardwood floors are the basis of a home and, in many ways, they shape the look and feel of the entire home. Some might say that this is a tough challenge but wooden floor manufacturers are definitely up to the test particularly when it comes to exotic woods. Expect this to be the gold star breakout trend for 2019! 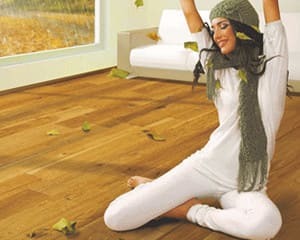 Yes, people have realised that engineered hardwood brings a host of benefits without any of the drawbacks. 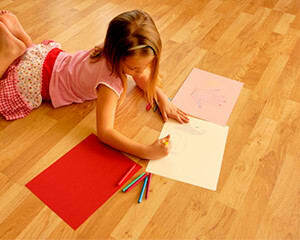 Engineered wood flooring offers great stability and, if treated correctly a hardwood floor is for life. Thanks to its overall quality, longevity and range, the demand for engineered hardwood floors continues to break records year on year. What’s more, as a floating floor it can be laid on top of almost any surface that is flat and level or even has multiple substrates. 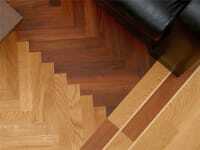 Home owners are embracing the move to this type of flooring but are also looking for the beautiful and less ordinary. 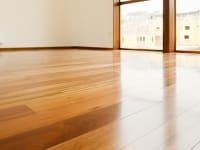 Looking for major wood flooring trends for 2019? 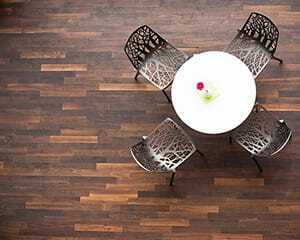 Expect a significant move to the use of sustainable exotic species such as Brazilian Cherry, Teak, Iroko and Wenge from exotic and tropical areas of the world. Perhaps it’s the widespread desire to get back to nature or perhaps it’s the need to escape the coldness of city life but Grand Designs highlighted the return of the rustic farmhouse look. Designers and homeowners are calling for longer and wider planks with an emphasis on natural aging and the use of reclaimed materials. To highlight this point, 2018 has already seen a 20% increase in demand for ‘Log and Wooden’ houses in the UK and a 25% increase internationally. (Google Trends). 2019 is predicted to see an increase in these trends. Based on what visitors were asking for, it looks like there is an increase in demand for exotic grains in cool dark colours that will emphasise a sense of calm, space and originality while incorporating longevity and a sense of understated luxury. It looks very much like 2019 is going to be the year of the wooden floor. 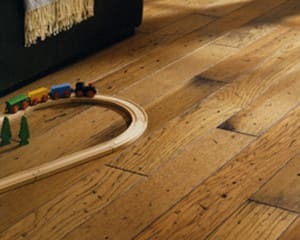 Call us today for samples of our hardwood flooring selection on Tel: 0845 293 9374.